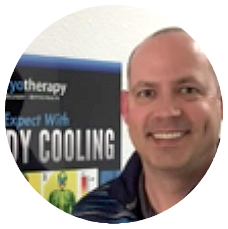 Mike joined US Cryotherapy in January 2016 after a nearly 20-year career in the pharmaceutical and biopharmaceutical industry. His various roles over the years included Professional Sales Representative, Territory Manager, Health Systems Manager of academic hospital accounts, Area Sales Manager and Sr. District Sales Manager where he has successfully launched over 12 new product entries with several being unique first-to-class solutions. His passion for developing people, teamwork, collaboration and providing the best customer experience with our cutting edge and sophisticated products will be an asset as we continue to grow as market-leaders in this emerging segment.  Prior to his long history of success in pharmaceuticals, Mike graduated from the University of California, Berkeley with a degree in Physical Education – Human Biodynamics. He was also the Captain of their Division 1 baseball team as an outfielder and was subsequently drafted by the Milwaukee Brewers Baseball Club in the 32nd round of the June Amateur draft in 1991. His professional career culminated with a High A California League championship in 1992. In the off-season, Mike was also an Angels extra on the Disney film Angels in the Outfield alongside future Academy Award winners Adrien Brody and Matthew McConaughey. Mike lives in Vacaville, CA with his lovely wife of nearly 26 years (Lori), two children (Jacob – 23 & Carly – 19) and dog Buddy. His free time is spent enjoying time with family and friends, traveling, golf, baseball, landscaping / gardening (see last name) and following his beloved UC-Berkeley Cal Bears.